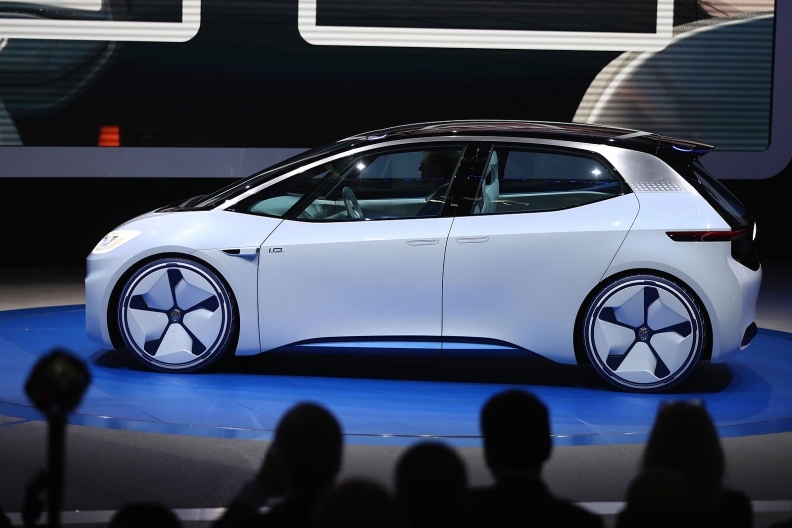 LAS VEGAS -- Volkswagen Group's core VW marque has finished developing the automaker's modular MEB architecture for electric vehicles, opening the door for other group brands to begin developing their own full electric models. VW development chief Frank Welsch said there is "a large interest" from other VW Group brands to build their own EVs from the platform. "More than half of all the models definitively planned on this architecture are not Volkswagens," he told reporters on the sidelines of the Consumer Electronics Show here last week. VW Group's Skoda unit plans five electrified models including EVs and plug-ins by 2025. The group's Seat brand is considering whether to launch hybrid or electric vehicles first, reports said. VW brand currently sells electric versions of its Golf and Up cars but in 2020 plans to launch its first purpose-built EV, a Golf-sized hatchback based on the I.D. concept unveiled at the Paris auto show in October. The second MEB vehicle will be an SUV, planned for after 2020. A concept will debut at the Shanghai show in April. The brand's I.D. Buzz concept shown at this week's Detroit auto show previews a possible eight-seat autonomous minibus. Welsch said the first MEB model would be the series version of the I.D. concept rather than first starting with a sister brand in order to learn from potential mistakes. "In the past we have done that with other modular architectures, Audi for example started with a small number," he said, referring to the A3 that preceded the VW Golf, both built off the MQB platform developed by engineers at the VW brand. Welsch said the MEB architecture will underpin models such as the Golf, Tiguan and Passat. "This range covers the first stage of MEB and it has clearly been defined, otherwise we could not meet the start of production. If we didn't know today what we were going to do now in early 2017 than there would be no car in 2020." VW Group's premium brands will not use the MEB platform for their upcoming Tesla-fighting EVs such as the Porsche Mission E and Audi e-tron quattro, although Audi may use the MEB platform for smaller EVs.